This article explains how to control the emails you get from Turbine. You can change your email settings in Turbine so you don't get lots of unwanted notifications. For example, you may log in and do all your approvals in the system so you don't want to get any emails. Switch off any emails types you don't want. 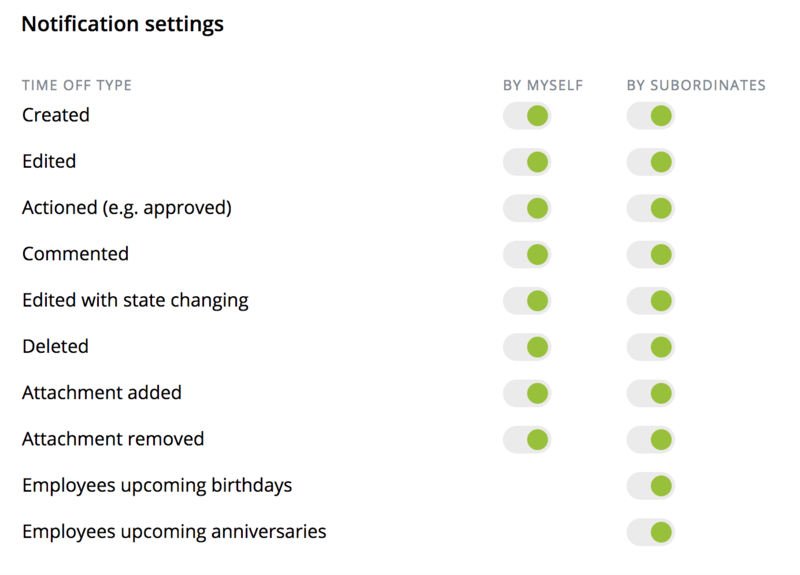 You can have different settings about your own requests and requests from any subordinates.